Two teams representing the Ontario Minor Hockey Association will participate in the 2019 Under 16 OHL Gold Cup in Kitchener from May 2 to 5, 2019. The rosters are comprised of 40 of the best Minor Midget-aged players who played in the OMHA this season, many that were selected in the OHL Draft on April 6. Eighteen of the 22 eligible OMHA teams are represented. This year marks the seventh annual OHL Gold Cup, which was introduced in 2013 as part of the Hockey Canada Program of Excellence (POE). 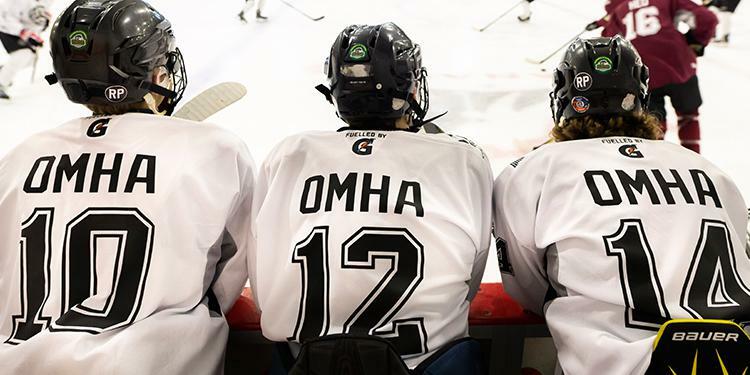 Ontario players selected from this event, have a chance to play for Canada at the World Under-17 Hockey Challenge, as they continue through the POE, to the Hockey Canada under-17 selection camp, held at the end of July. In addition to games, OHL Gold Cup players will receive development opportunities and training directly from Hockey Canada instructors. Throughout the week players will participate in three off-ice education sessions, dedicated position-specific practices, and a full-team game-day skate. Furthermore, the focus on development provides a greater symmetry between the OHL Gold Cup and the National Under-17 Development Camp - the next step for these players in the Hockey Canada Program of Excellence. Players will compete in three pool games and one crossover game on the final day, with the OHL Gold Cup champion being named from the winner of the A1 versus B1 crossover game - all games are open to the public. The eight teams participating in the OHL Gold Cup are OMHA Black, OMHA White, ALLIANCE, GTHL Blue, GTHL Red, HEO, HNO and NOHA.